Are you looking for an alternative to the default Yahoo! Store Payment Processing option? We can offer you substantial discounts on your processing fee's. Sign up immediately and start saving right away on your Yahoo! 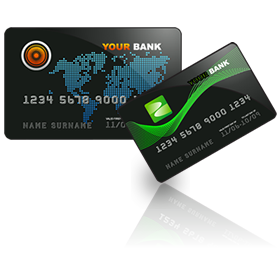 Store Merchant Account. OK, your Yahoo! Store is built, and it's time to set up your credit card processing. The easiest way to do that is to use the Yahoo! Partner and pay upwards of 2.6% on your credit card fee's. OR, you can apply with one of our partners and receive substantial discounts on your Yahoo! Store Merchant Account Credit Card processing fees. Your online merchant account will allow you to quickly and easily process your customer's credit card automatically on your website. You will also be provided with a web-based interface from which you can issue refunds, void transactions, as well as access a variety of reports. With the use of the web-based service you can logon to your account 24/7 from any computer with an Internet connection. You will receive instant verification for each transaction and all your approved sales will be deposited directly into your checking account. Thanks to the buying power & negotiations of Colorado Web Solutions, your online merchant account comes at a price you can appreciate. Each account is issued with the following discounted prices. Would you like a free Cost Analysis of your current Credit Card Rates? If you would like us to review your current credit card processing rates and present you with the savings we are able to offer you, please fill out this form and we will contact you asap. As a part of this special offer you will also receive a FREE copy of CheckMAN Check Printing Software. With this simple yet powerful program you can actually accept your customer's check over the phone, by fax or through the Internet! With CheckMAN, you will have absolutely no transaction fees, or percentage charges. Your only other expense EVER will be to purchase blank checks (About .05 each!). You can even print your own checks made payable to whomever you would like! Empower your Yahoo! Store with the ability to create your own unique promotions and discounts. A first for Yahoo! Stores, the Promo Manager not only allows you to customize your offers, but you can now conceptualize promotions to meet your sales goals. Take charge of your business and start marketing now. If you are looking for extremely economical email marketing services for Yahoo! Stores, Constant Contact may be your perfect solution. Sign up for a free trial today and give it a test drive. GoDataFeed is reshaping the delivery of quality product feeds to the major comparison shopping channels with an innovative solution that automates, optimizes and analyzes the data feed management process for Yahoo! Merchant Solutions Stores. Used by over half of the Internet Retailer Top 500, McAfee SECURE trustmark service will help secure your web site against hackers so you can build the trust that builds your business and increases your site conversion. Use the security trustmark used by more Top 500 merchants than any other.